Greenwood’s Omnique Window Kit has become the first kitchen and bathroom extractor fan to achieve Secured by Design accreditation. 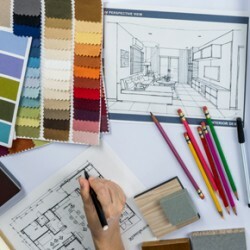 2015 was an impressive year for interior design but 2016 is already shaping up to be competition with a range of stylish themes and practical solutions. 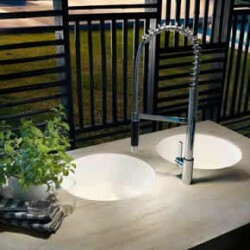 DuPont Corian has renewed and expanded its range of contemporary kitchen sinks as part of its Endless Evolution growth programme. Flight Modular Wall panels developed by Mira Showers helped contractors reduce a 5 year refurbishment programme by one year. Solihull’s Touchwood Shopping Centre has opened an assisted accessible toilet to provide appropriate facilities for those who need the help of a carer to use the bathroom. 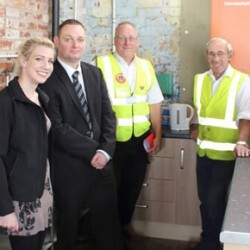 Novus Property Solutions has updated the kitchen facilities at a local heritage centre, located on a former steelworks site in Wrexham. 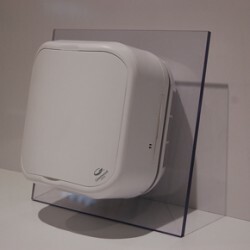 With over half of Britain’s householders wishing their toilets were separate from the flush, Geberit has launched a series of remote flush buttons. 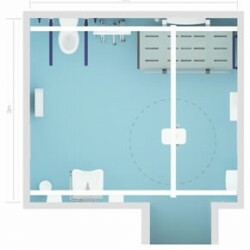 Clos-o-Mat has produced an online, 3D video to help its customers envisage assisted washrooms for those who cannot use the bathroom unaided. DuPont Corian has been used extensively throughout the newly renovated Holiday Inn in Vilnius, Lithuania to offer a blend of comfort and innovation. 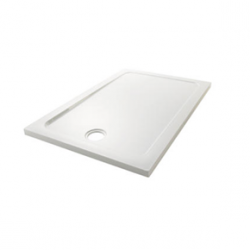 Mira’s Flight Safe shower tray has been specified by Ibis Styles hotels to provide anti-slip security whilst matching the hotels’ contemporary bathrooms.